Ready for your best year, ever? These Parenting Super Bundle resources will support you, organise you, and make your back to school awesome! You’re going to want to access this – quick! This is so good – you’ll love it! Have you heard of Ultimate Bundles? They bring together carefully chosen products and make them available to you for limited time, and with a huge saving. This month I’m joining in with them, contributing one of my books to The Parenting Super Bundle. I wanted to share this offer with you because it will equip you with all sorts of goodies for an awesome year with your children – at a discounted price that’s such great value. The catch is that the bundle is only available for the next six days, so you’ll need to be quick if you want to get this unique deal. 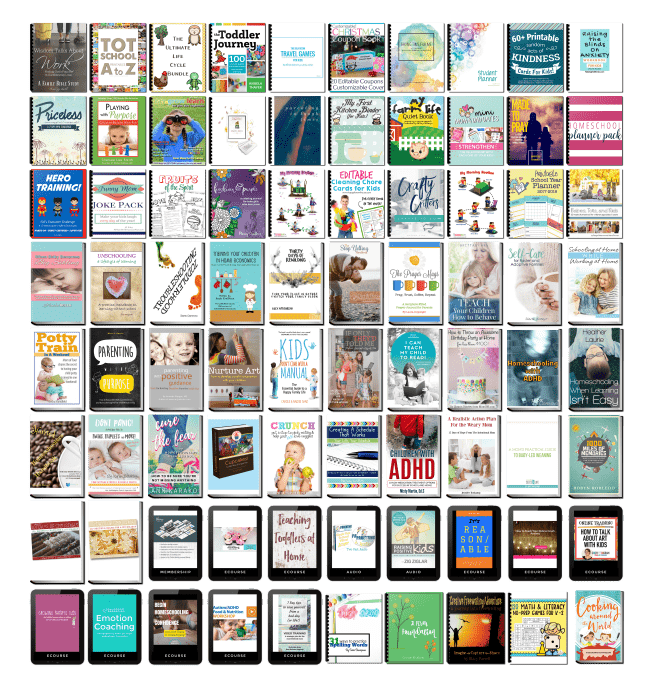 Read on and I’ll show you what you’ll get in the bundle, share my personal top picks, and give you access to all the super resources. The one thing that immediately caught my eye is the membership of the Emotion Coaching course run by Melissa Benaroya. 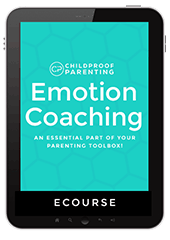 Emotion coaching helps parents guide their children through life’s ups and downs in a way that builds confidence, resilience and strong relationships. I can’t think of anything more important than that when I think about what I want for my girls. The course was developed by Dr. John Gottman, who I’m sure you will know as the author of Raising an Emotionally Intelligent Child. It usually costs $49, so you’re already saving money on this one resource, and I really am looking forward to working through it and applying what I learn with my tween and teen. A second product I love the look of is Thirty Days of Rewilding by Lucy AitkenRead. I know that you all love reading Lucy’s articles when I share them on the NurtureStore Facebook page, and of course we’re all fans of connecting children with nature, aren’t we, so I think this will be one of the books you like the best too. You’ll also get a copy of Parenting with Positive Guidance: Building Discipline from the Inside Out by Amanda Morgan. Amanda is a friend of mine and such a wise and thoughtful parent and educator. This will be a great read. I’m in the bundle too! 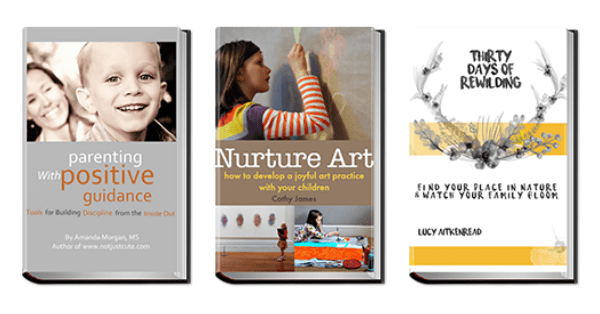 You’ll receive a copy of my book Nurture Art: How To Develop A Joyful Art Practice With Your Children. This is full of inspiration and practical tips that will get you and your children delighting in art – perfect for the coming autumn and winter months. All these added extras – total bundle value….. $1,280.93 ! The Parenting Super Bundle is packed with all sorts of other goodies too. :: There are 120 math and literacy games, and 31 ways to practice spelling words. :: There’s a Back to School Planner for you, and a Student Planner – which I’m handing straight over to my girls! :: You’ll also find fun around the world cooking ideas and a guide to helping picky eaters love veggies. 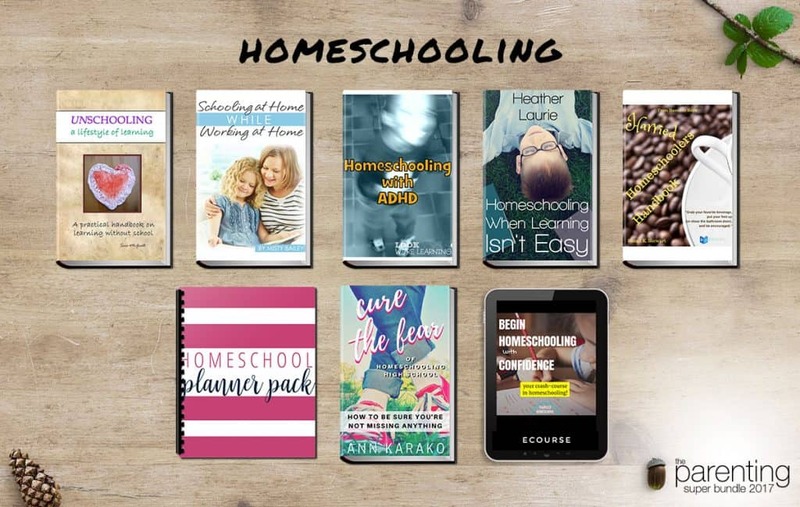 :: You’ll find whole sections of resources for Toddlers, Special Needs and Homeschooling. Click here to get your copy of all the resources. In total you’ll receive $1,280.93 worth of awesome resources – all for only $29.97. That’s a saving of $1250.96, which is amazing, right? It’s the best back to school gift you can give yourself and your children. What am I going to do with all these ideas? Use them, at a time to suit you. There’s a really useful ‘getting started’ guide and the resources are all delivered via a website that makes it so easy for you to navigate and find things. I’d suggest checking out the resources I’ve picked out here first, and then you have this whole, wonderful library to support and delight you all year long. You can pop in whenever you need a new idea as your children grow and develop over time. You’ll have you own super parenting tool kit. 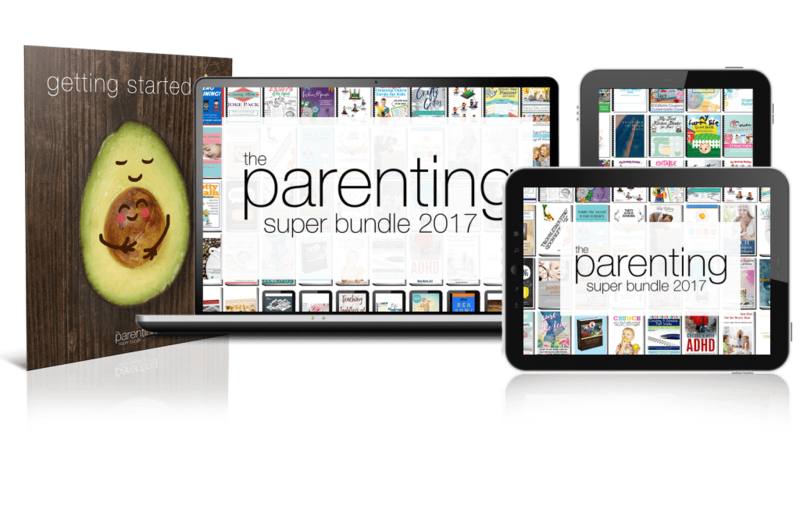 How to get your copy of The Parenting Super Bundle – SIX DAYS ONLY! 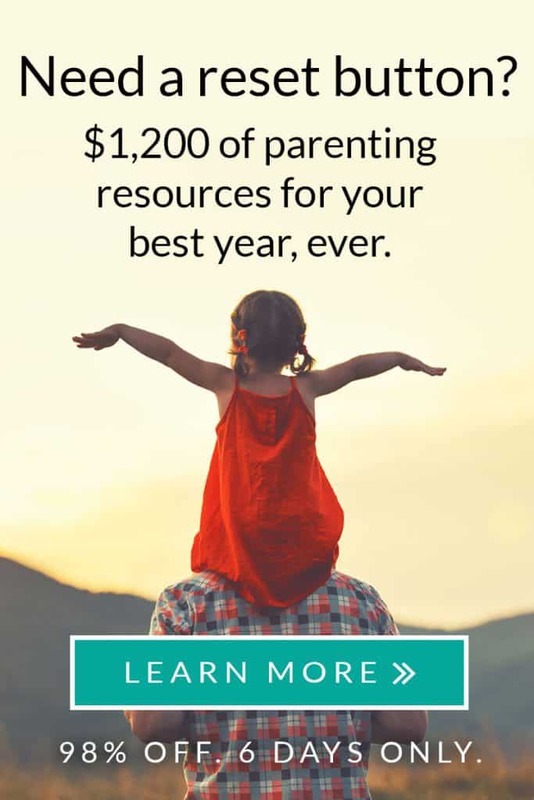 The Parenting Super Bundle is a very special collection of resources, and it brings together some of the very best authors, teachers, and coaches for you. But it’s a unique collection that’s only available for six days. You need to jump in now and bag that £1250.96 saving, or you’ll miss out completely. Click here to get your Parenting Super Bundle today for just $29.97. The Parenting Super Bundle is produced and sold by Ultimate Bundles, a third party seller. If you have any questions regarding your purchase please contact them directly at their support centre. NurtureStore accepts no responsibility for products purchased from third party sellers.